During the event keynote, Acer CEO Jason Chen noted that 50 percent of gamers also used their powerful gaming PCs for creative tasks and that 15 percent of purchased gaming PCs aren’t used for games at all. 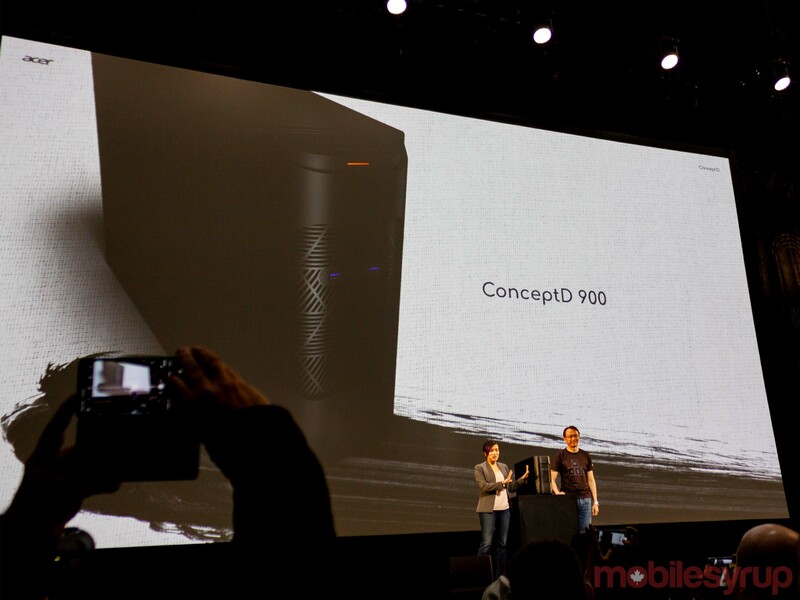 With that in mind, Acer designed several new desktop and laptop devices under a new ‘ConceptD’ brand to meet the needs of creatives like graphic designers, filmmakers, engineers, architects and more. Further, Acer made design the pinnacle of its devices, focussing on quiet operation and extremely colour accurate displays. 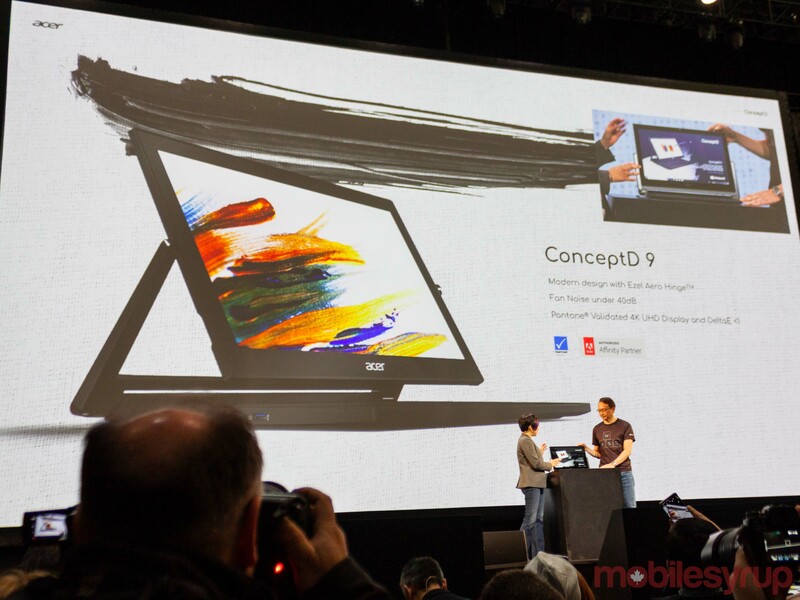 For example, its ConceptD 9 laptop features a 17.3-inch Ultra HD 4K, Pantone validated display. Additionally, the screen covers 100 percent of the Adobe RGB colour gamut, and Acer boasts a colour accuracy of Delta E 0.7. The company also claims the ConceptD 9 runs at a quiet 39 A-weighted decibels (dBa) under load. dBa measures the loudness of sounds in the air as perceived by the human ear. 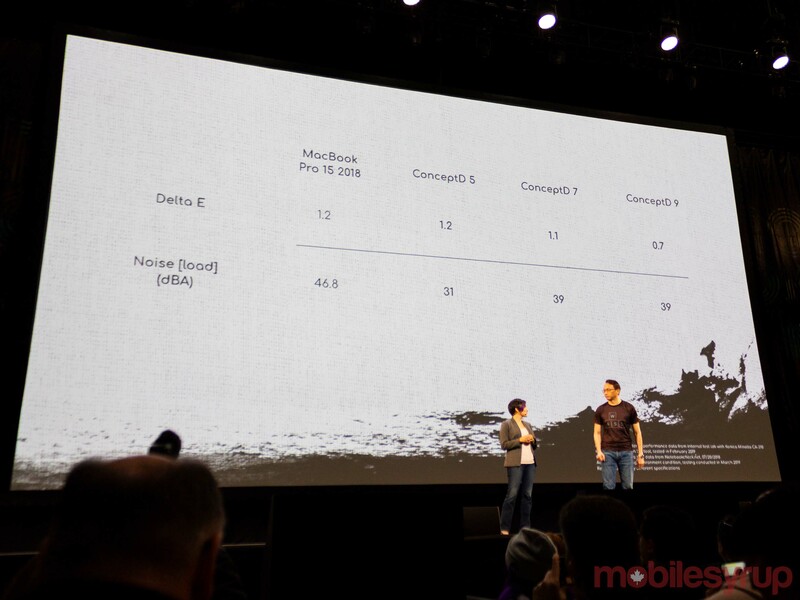 To showcase how accurate the ConceptD 9 display is, as well as how quiet the computer ran, Acer compared it directly with the 2018 15-inch MacBook Pro, which has a Delta E 1.2 accurate display and operates at 46.8dbA under load. Acer also showed off its new desktops, including the ConceptD 900 with dual Intel Xeon Gold 6148 processors with up to 40 cores and 80 threads. Further, the PC features a Nvidia Quadro RTX 6000 graphics, 12 memory slots for up to a mind-boggling 192GB of ECC memory, making it a real powerhouse for creatives. This is just the tip of the iceberg for ConceptD. 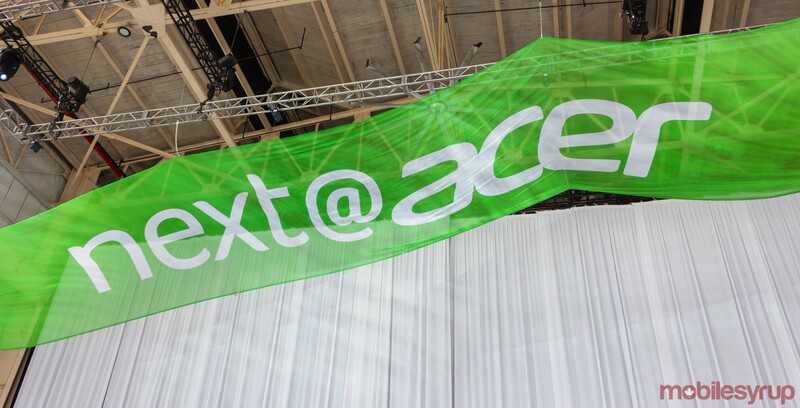 To learn more, check out Acer’s website or watch the live stream here.